The world of mysticism and magic inspire all of the pieces in the Milaya jewelry collection, where bohemian vibes meet timeless designs. 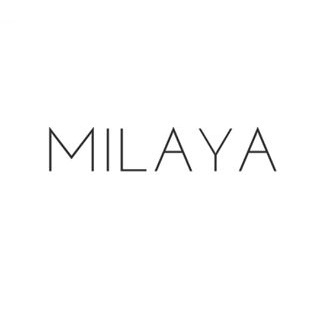 Milaya, meaning "sweet" in Russian, was founded by Sara Scherbakov-Coutts in Vancouver, B.C. in 2015. Hey guys! I'm so happy you want to know more about how I started Milaya. Ever since I can remember I have been mesmerized by the magic of crystals and I started collecting gemstones when I was a little girl. I first displayed my small collection of handmade jewelry at the Vancouver Gem & Mineral Show in March of 2016 and was overwhelmed by the positive feedback. Over the years my brand has grown far beyond what I ever imagined. I'm inspired by my life living on the West Coast in Vancouver, B.C., and in my studies in Holistic Nutrition. The earth offers us endless magic and it is with this in mind that I create each piece in my collection. All of my crystals and gemstones are chosen with care, so that it will feel like you're carrying a little bit of magic with you when you wear my jewelry. I hope you like my pieces as much as I love creating them!